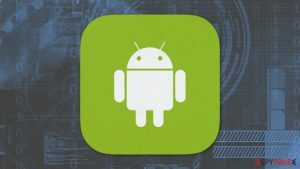 A new variant of Android virus was detected on Google Play Store. 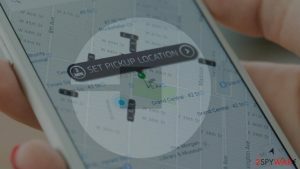 It uses social engineering techniques to trick users into downloading malicious apps. 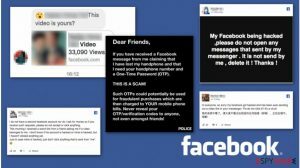 Malware targets English and Vietnamese users and aims to steal their Facebook login details. Security firm Avast detected multiple downloaders that pretended to be entertainment and lifestyle apps, such as voice recorders or chess games. Once installed, these apps triggered the installation of further malicious apps that perform other malicious activities. Fortunately, these applications were removed from Google Play and developer accounts were blocked. 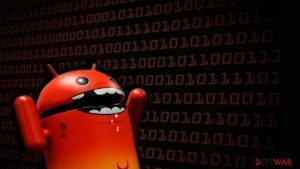 However, it’s unknown how many people may have suffered from this Android malware. 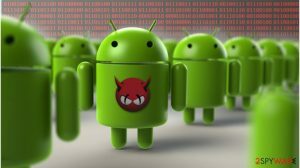 Researchers suspect that this Android malware origins from Vietnam because malicious apps use the name of popular applications in this region. 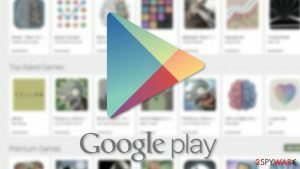 Malicious apps managed to bypass Google security because the downloaders that uploaded to the store do not have malicious features. 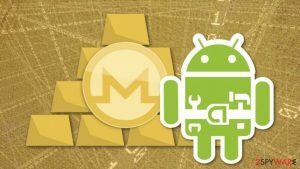 They are designed to download malicious components and run illegal tasks as soon as they are installed on the Android smartphone. Clicking “Activate” button on the pop-up, users are asked to “Activate device administrator,” meaning giving the malicious app permission to get full access to the device. The crash alerts preventing from accessing needed application are annoying. Thus, there’s no doubt that sooner or later users give malware what it wants. 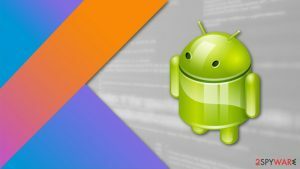 When Android virus gets access to the affected device, it informs malware command and control server about a successful task. Then it checks and sends device ID, location (IP address), language, mobile operator, and display parameters. Additionally, malicious apps can perform click-fraud activities. Avast research tells that apps include a couple of advertising platforms. However, they can not only deliver ads or video ads but trick user into clicking them or clicking on behalf of a victim. However, the most important task is stealing Facebook credentials. 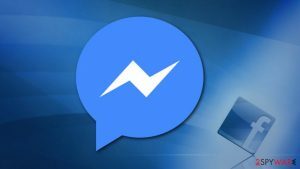 Malware continues to be a Google Play service notification that alerts about issues with user’s Facebook account and asks to log in again. Therefore, users give criminals their login details and password without realizing it. What happens when criminals get access to your account? They can add or confirm friends, comment, like or share content, and perform other regular user’s activities. The point of this activity is that these accounts can be sold to businesses that want to get more user’s engagement or even increase sales. Compromised real people accounts are valuable in the market because they are not likely to be flagged as fake ones and banned from the social network. 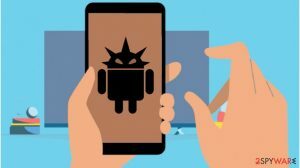 Thus, if you were hit by this Android malware, you should immediately change all your passwords (not only Facebook’s) as soon as you wipe out malware from your smartphone. ^ Jake Doevan. Android virus. How to remove? (Uninstall guide). 2-spyware. Security and spyware news. ^ Alena Nohová. 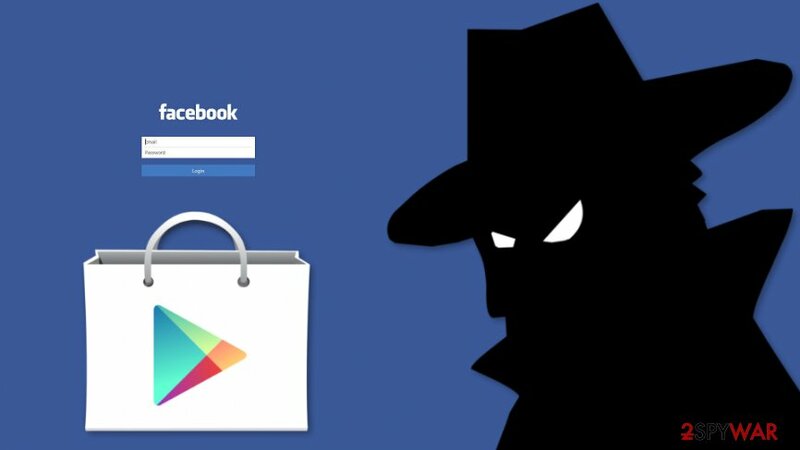 Downloaders on Google Play spreading malware to steal Facebook login details. Avast blog. Research data and malware analysis. ^ Lily Hay Newman. How Malware Keeps Sneaking Past Google Play’s Defenses. Wired. Website about business, culture, design, security, and more. 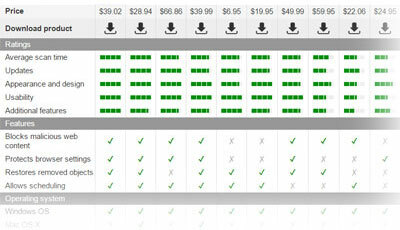 ^ GhostClicker Adware is a Phantomlike Android Click Fraud. Trend Micro blogs. Security news, views and opinions. ^ Graham Kates, Shanika Gunaratna, Irina Ivanova. Facebook purges thousands of fake accounts that targeted publishers. CBS News. Breaking news. This entry was posted on 2018-01-19 at 04:03 and is filed under News, Viruses and parasites.